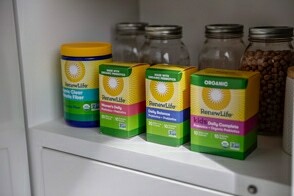 In order to preserve the Renew Life Formulas, LLC (“Renew Life”) brand equity in the marketplace and prevent erosion of the products’ perceived value, Renew Life has unilaterally adopted a Unilateral Minimum Advertised Price (MAP) Policy (the “Policy”) with respect to its Renew Life products. The MAP Policy is effective February 1, 2017 and applies to all of the Renew Life products listed in the appendix of this Policy. 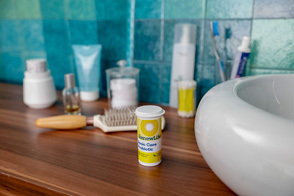 Renew Life delivers superior digestive health products to consumers with the highest ingredient, sourcing and sustainability standards and a superior efficacy relative to other offerings in the category. Our objective is to maintain the strong brand equity of Renew Life products while delivering a consumer preferred product. The advertising of deeply discounted prices for Renew Life products would harm the brand equity and reduce the efficiency of Renew Life’s distribution strategy. In addition, deeply discounted prices would undermine Renew Life’s ability to maintain ongoing investment levels in its products and to continue to deliver consumer preferred, premium products in the marketplace. Under this Policy, Renew Life reserves the unilateral right to reduce trade funding and/or discontinue the sales to any seller of Renew Life who advertises Renew Life products at prices below the suggested minimum advertised price as stated in the appendix of this Policy. Sellers of Renew Life products include, but are not limited to, in store retailers, internet retailers, and individual sellers. This Policy applies only to the advertised price of Renew Life products, not the price at which products are actually sold. Advertised prices under this Policy include, but are not limited to: print advertisement; in store or out of store coupons; special offers; broadcast advertisement; showing a dollar value “netted out” below MAP; direct mail; internet advertisement or communication; advertised coupons on a single item; and the inclusion of Renew Life in a bundled, brand, or category wide discount or coupon where the value of the offer as applied on the Renew Life product(s) results in a net price below MAP (illustrative examples include the following: (1) Buy one Renew Life product, get one 25% off would be consistent with the policy if the average price of the products with the advertised discount applied to such products does not result in a net price below MAP; (2) Buy Any Renew Life Product, Get $5 Off would be inconsistent with the policy if the $5 offer applied entirely to any Renew Life Product results in a price below the MAP). For the purpose of applying this Policy, Renew Life considers online prices (other than prices on the in-cart or other intent to purchase pages) to be advertised prices. If a retailer’s pricing policy is to use a price that has as its last digit (i.e., 0 – 9 cents) a number other than 9, Renew Life will not consider the usage of that “last digit policy” to be inconsistent with this Policy as long as the last digit policy applies to all competing brands. Example: An advertised price of $29.94 is consistent with this MAP Policy where the MAP is $29.99 and where pricing for all competing brands follows the same last digit policy. Renew Life reserves the right, within its unilateral and sole discretion, to make judgments regarding the optimal distribution strategy for Renew Life products and to evaluate without negotiation whether the actions of sellers are consistent with this Policy and Renew Life’ overall strategy. First Instance of Inconsistent Advertising: customer will not receive any Renew Life Trade and Shopper Marketing funds for 3 months. Second Instance of Inconsistent Advertising: Renew Life will stop selling Renew Life Products to customer for 3 months and the customer will not receive any Renew Life Trade or Shopper Marketing funds during this time. Third Instance of Inconsistent Advertising: Renew Life will stop selling of Renew Life Products to customer for 6 months and the customer will not receive any Renew Life Trade or Shopper Marketing funds during this time. If a customer with multiple store locations advertises Renew Life products at prices that are inconsistent with this MAP Policy as to any particular store location, then Renew Life will consider the inconsistent advertising to extend to all of the customer’s locations. Renew Life does not seek, nor will we accept, any agreement or assent from customers with respect to this Policy, either now or at any time in the future. This Policy is being established by Renew Life unilaterally and therefore is not subject to negotiation. Renew Life will implement this Policy based on information deemed sufficient by Renew Life, and all such determinations are final. We reserve the right at any time to modify this Policy, to establish new or different policies or discontinue any or all such policies. This Renew Life MAP Policy shall remain in effect until modified or terminated by us in writing sent to you. This policy is in effect with or without customer signature. If you carry Renew Life products, please notify the appropriate individuals at your company of this Policy to ensure they are aware of this Policy when determining how you will advertise and promote Renew Life products. Important: the Retailer alone has the sole discretion to determine both advertised price(s) and selling price(s). Contact your Renew Life Account Manager for items and prices subject to MAP.